When you make a size-able investment in new floors for your home, protect it best by opting for professional installation to precise manufacturer’s recommendations. 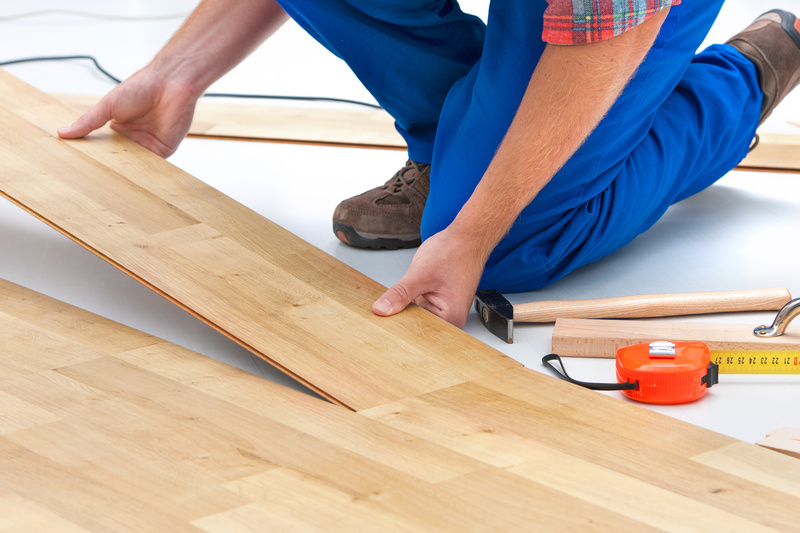 Home improvement projects often begin with new flooring. However, selecting and installing new flooring materials can be a significant investment that should last for decades or more while also increasing the market value of your home. This having been said, flooring installation with most materials is not generally recommended for a do-it-yourself project. History has shown that in most cases, the mistakes made by inexperienced installation folks generally ends up costing you more money than you expected to save. The proof of this lies in the fact that many flooring product manufacturers will even refuse to stand behind the product warranties they provide unless those materials have been set in place by professionals. Flooring n Beyond provides top quality installations that are faster and more affordable than many other local retailers. We supply and professionally install a complete range of new flooring products for homeowners in Miamisburg, Centerville, Springboro, Beavercreek, Dayton and other nearby Ohio communities. Flooring n Beyond has an expert installation team where each member is State licensed and insured for the protection of our valued customers. Our business licenses are always available for your examination. Since our people will be working inside your home, it is always a good idea to make certain that our flooring installation crew is fully bonded and personally licensed before the work commences. We place a great deal of emphasis on ensuring that our installers are thoroughly familiar with the correct installation methods for every type of flooring product that we supply simply because no flooring materials call for exactly the same installation techniques. Flooring n Beyond is known for the best trained installers than other local competitors and providing guaranteed professional results. Every installation we perform will have a Lifetime labor warranty on all residential flooring projects. Once completed, your new floor will provide years of beauty and comfort for you and your family. There’s much, much more we can tell you about the importance of professional flooring installation and why it is a cost-effective option within any home remodeling project. Phone us, e-mail us, or drop by our Miamisburg, OH showroom to personally discuss your interest in flooring installation with one of our professional remodeling consultants.